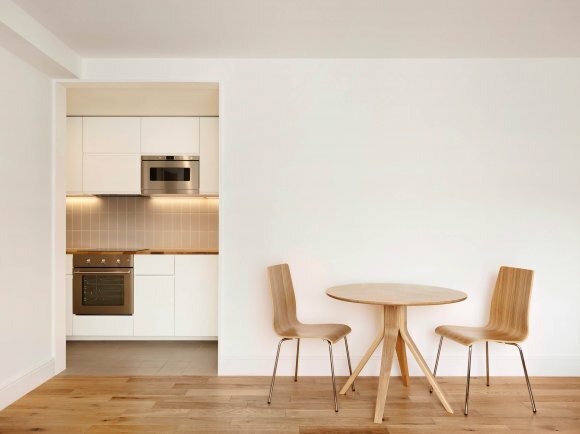 In 2016 VOSS Architects were asked by our client if we would be interested in helping him renovate his small two bedroom apartment in East London. The client had acquired the property recently and wanted to make it his home for the next couple of years. At the time of our first site visit the apartment felt very tired. 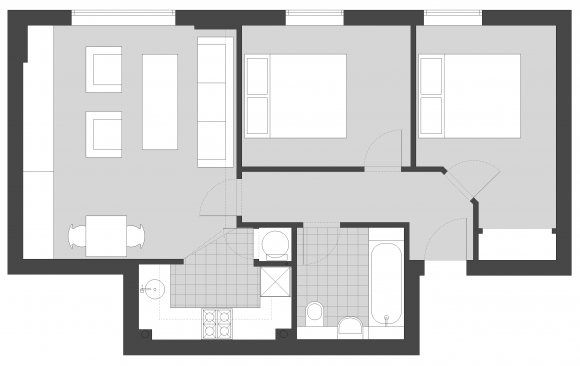 The restrictive and not practical floor plan layout did not allow for a very good use of the rooms. 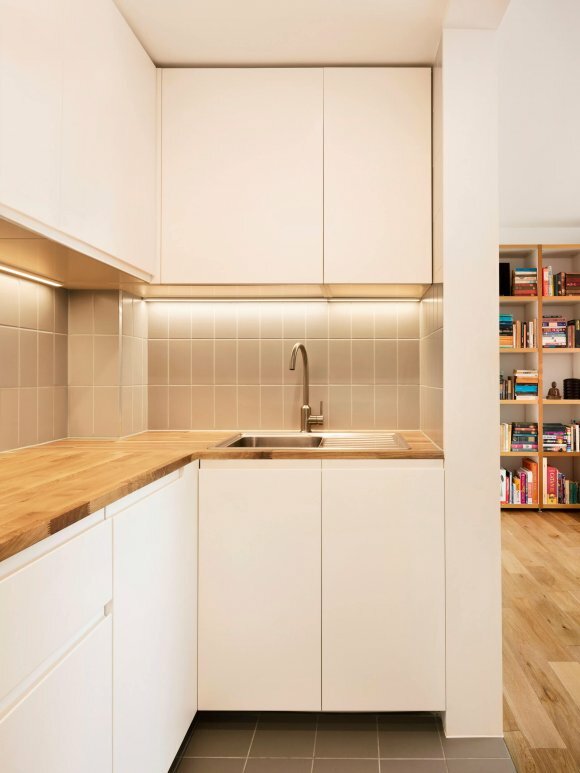 It all was very cramped and besides renovation, the apartment needed re- arranging to develop the spaces to their full potential. 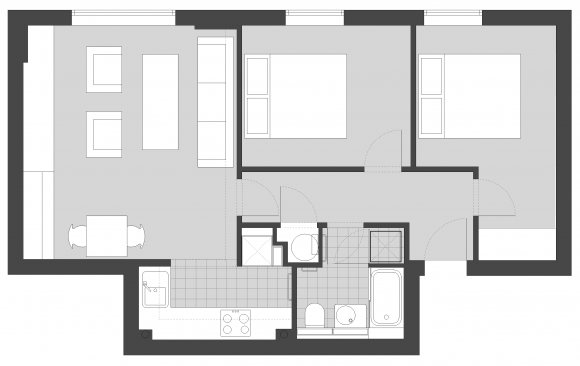 By reorganising the kitchen, bathroom, laundry and storage in the centre of the floor plan within a box like arrangement, our office manage to give back the apartment the needed architectural integrity and connect the kitchen properly with the living room. 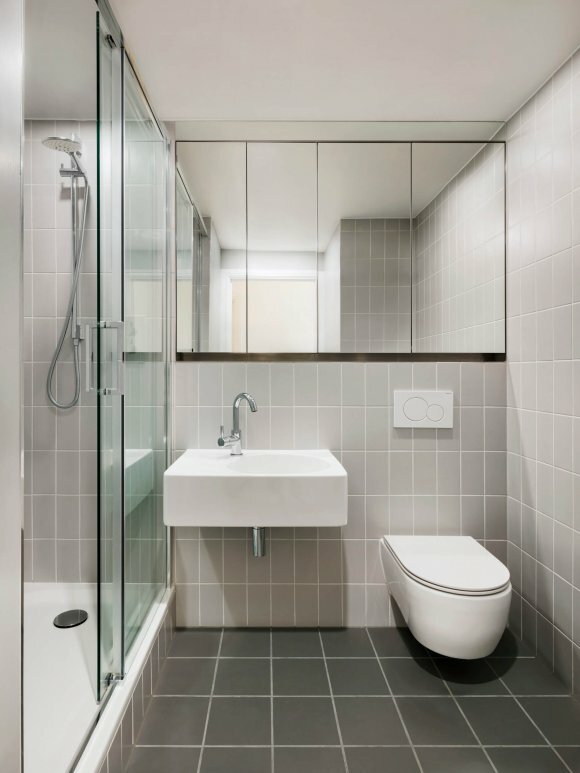 Clean lines and alignments were provided to create calm open spaces for the client to recharge from his busy working lifestyle. The remaining apartment was renovated and new timber flooring installed. The renovation was executed in spring 2017 and completed within the client’s tight budget requirements. Pierre Mare Architects, Executive Arch.